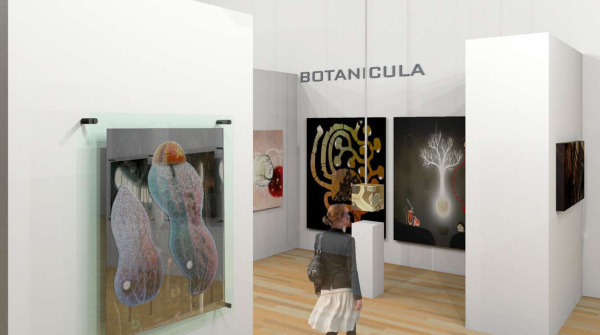 Exhibit design, showcasing work from digital artists. 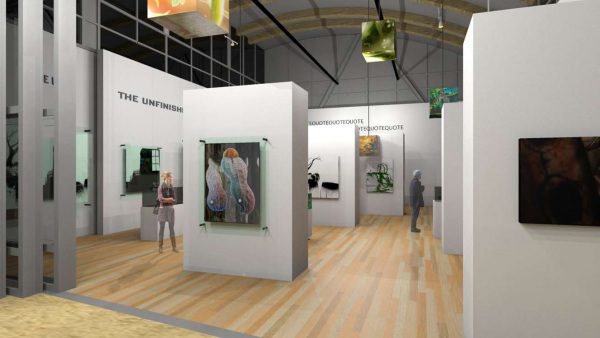 Exhibit design, showcasing work from digital artists. 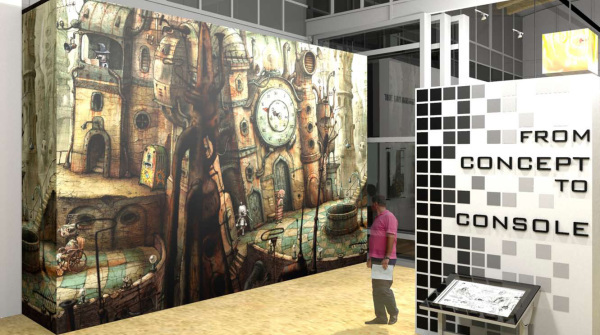 Large format print wall covering for focal wall. Invisible frames with stand-off mounting show the artwork i a clean, elegant, and cost-effective manner. 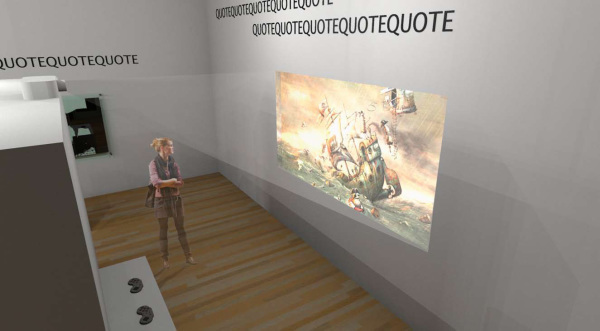 A video feature pulls circulation to the back of the gallery, highlighting the artists' 3D work. Black simple text on the white gallery walls provides way finding. 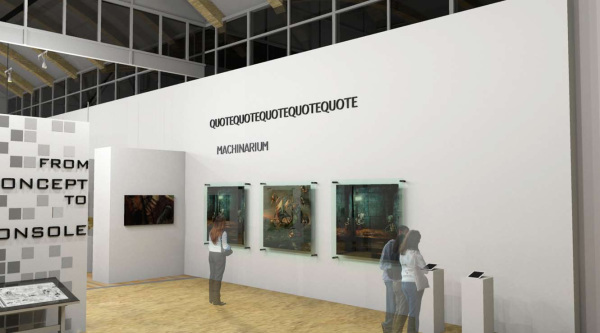 Adding quotes from artists adds emotional and cognitive depth to the experience. Plexiglas cubes holding translucent images printed on vellum lets light shine through some of the artwork, mimicking pixels and the way a viewer would normally view the images on screen. 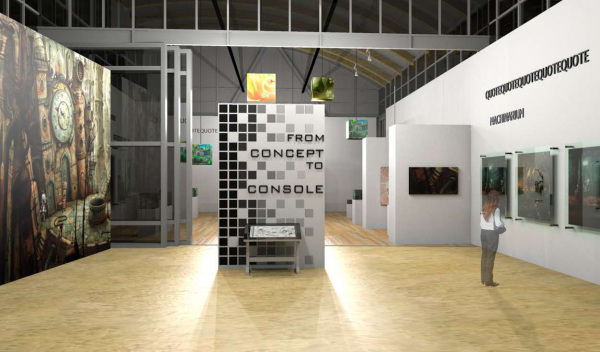 Exhibition design for The Opalka Gallery, creating a "fine-art" experience using abstraction of process and technology to communicate depth of skill and talent in video game design.